I couldn't imagine a better ambassador to the next realm. Thus far 2016 has proved to be an absolute abomination when it comes to loosing some of our greatest musicians, and now the greatest boxer ever to live has moved on to the next realm. 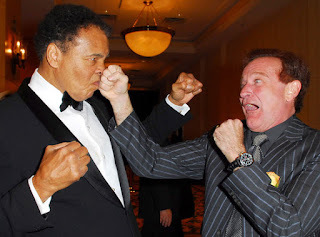 Muhammad Ali, born Cassius Clay, lost his battle to Parkinson's yesterday in a Phoenix, AZ. hospital. I never saw him live, but my father was fortunate enough to see him fight as Cassius Clay back when he was climbing the ranks. Toledo Ohio was actually quite well known for its boxing with its proximity to Detroit, Chicago, and Cleveland. Imagine being fortunate enough to see Cassius in his prime!? How fortunate. I have so much to say, yet I find myself speechless. My condolences to his family. I hope that he arranged to have his brain studied for Parkinson's research so we can find a cure for such a terrible disease. He is one of my favourite players. He players so well. I love to watch his all boxing matches. He is very good sports man. 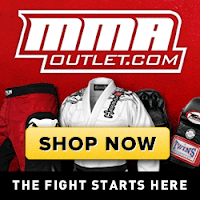 My name is Eric, I'm a blog writer for an online store of Boxing / MMA gear. I've been following your blog for quite a while now and I really enjoy your content. I couldn't help but notice you didn't write anything about Muhammad Ali's passing. If you liked it, and if you think your audience will benefit from reading it you can use the infographic & introduction on your site / social media. I'll really appreciate if could just link to my original post. Thanks & let me know if you have any feedback.